A festive gift for the whole family to appreciate this Christmas time. 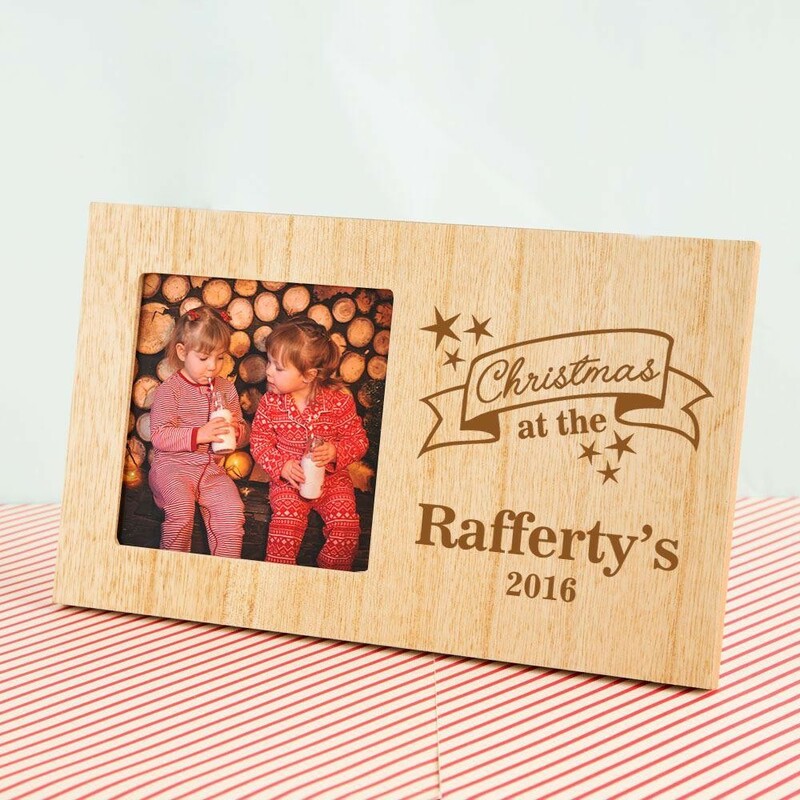 They will love to display this rustic themed frame in the living room amongst their Christmas decorations. 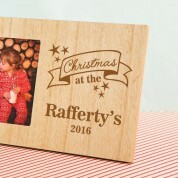 It is laser engraved with a stylish design that reads “Christmas at the (family name's)”. It features an outline of a decorative banner and is surrounded by stars. A personal gift with a difference that can be enjoyed for years to come! 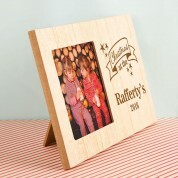 They will love to display the most memorable moments in the little photo window for all to see. Our professionals work in house to carefully engrave onto the wood for unique results every time. The frame features a small square photo window – perfect for an Instagram snapshot!